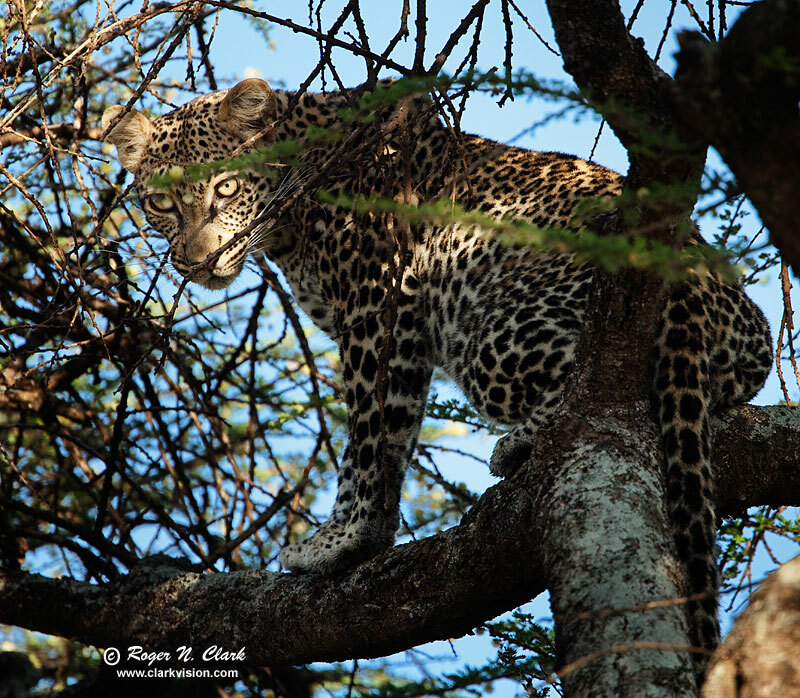 This leopard had finished feasting on breakfast in a tree at sunrise on the edge of the Serengeti in the Ngorongoro Conservation Area (NCA) woodlands, Tanzania, Africa. Technical: Canon 5D Mark II 21-megapixel camera, Canon 500 mm f/4 L IS lens plus a 1.4x teleconverter giving 700 mm at f/5.6. Exposure: 1/500 second at ISO 400, f/5.6. Image cropped to 12 megapixels.